Istanbul is, without a doubt, the leading metropolis in Turkey as well as being the gateway to the Orient. An active gay scene can be found in this city, which one could call "advanced" from a Western viewpoint. 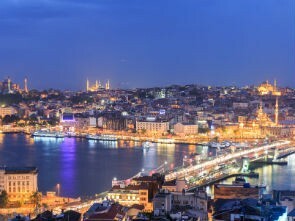 Istanbul is however, as is the entire country, strongly influenced by Islam. Emancipated homosexuals, from the viewpoint of the West, do exist as does a silent tolerance. But generally the traditional Islamic values dominate life here, meaning one should be very discreet in public places.